Every country should have a military force that became defense forces. But it is not complete without the presence of combat vehicles such as the fighter aircrafts to battle tanks. Well as a child, you must have the desire to be able to ride a tank. 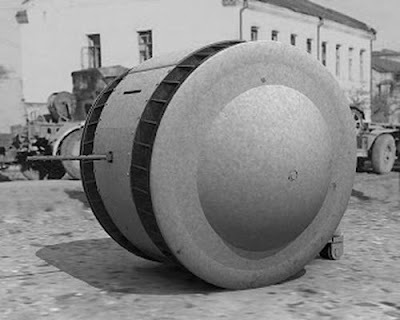 Also known as the "Ball Tank," this tank was captured in Manchuria by the Russians back to 1945. No other examples of this tank are known to have been produced, and next-to-nothing is known about it. The tank was powered by a tiny two-stroke engine, and its weaponry relied on whatever machine gun the driver had on hand at the time. As you tell, there was only room for one person in this so. 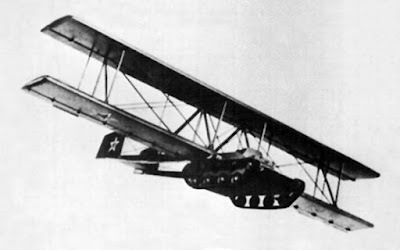 Not satisfied with the tank as a vehicle capable of destroying and driving over everything in its path, the Russians tried to make them even better by teaching them how to fly. Behold the Antonov A-40, basically a tank strapped to a glorified glider. 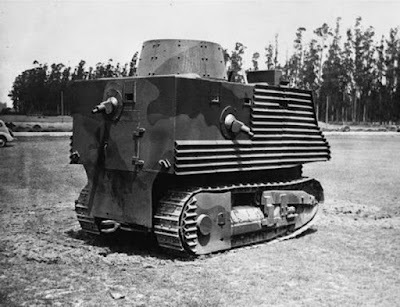 However, in order to reduce the tank’s weight so that it was capable of flight, it had to be stripped of all its ammunition, a big problem when your main purpose is to fire this ammunition into the faces of the Nazis. Luckily, the Antonov never entered combat; the military test-flew it once and, despite its safe landing, they proceeded to forget about the whole thing. During World War II, New Zealand saw that every other country had some tanks, and decided to make some themselves. However, without the industrial capability to do such a task, they settled on building a shed of corrugated iron on a tractor’s base. Named after their Minister of Works, Bob Semple, each tank was equipped with seven machine guns. However, the cramped conditions inside meant that one crew member had to shoot out of his firing hole whilst laying on a mattress covering the engine. After the tanks were ridiculed for their appearance, they never saw combat, although they did boost public morale all across the country. The Sherman Flail Crab tank is proof that sometimes the craziest people in the office do the best job. 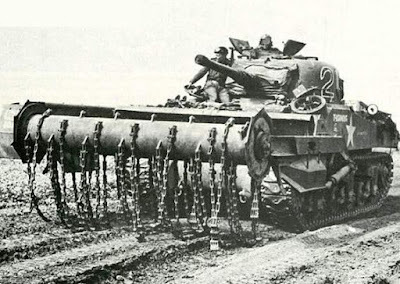 Aside from being a fully-working Sherman tank, its main job was to clear minefields, by beating the daylights out of them with chains. On the front of the tank, its designers mounted a series of drums with chains attached to them, and a motor that would rotate the whole array. Upon reaching the minefield, the motor would be kickstarted, and the chains would spin round and round, harmlessly detonating any mines they came into contact with. All we’re wondering is why they bothered fitting this tank with a gun, when they could have just pointed it at the enemy and terrified them into surrendering. Here are combat vehicles belonging to Russian named 1K17 Szhatie. 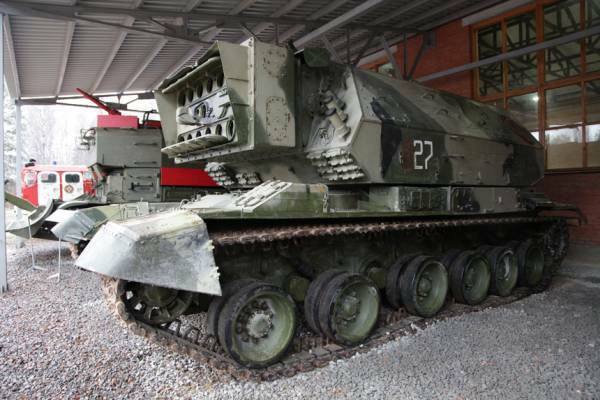 This tank looks very tough because it is equipped with missiles. Russia designed this vehicle to be able to shoot the enemy with missiles, either the ground vehicle or even an airplane. 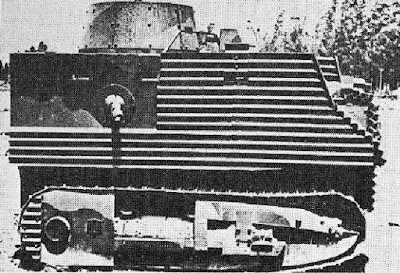 The tank shape is similar to a conventional tank, only its main weapon that looks different.